The DMM Pivot belay device is a unique pivot-style belay device that has all the advantages of a standard plate, but uses an innovative system that allows for full and complete control and management of the rope whilst in guide mode. 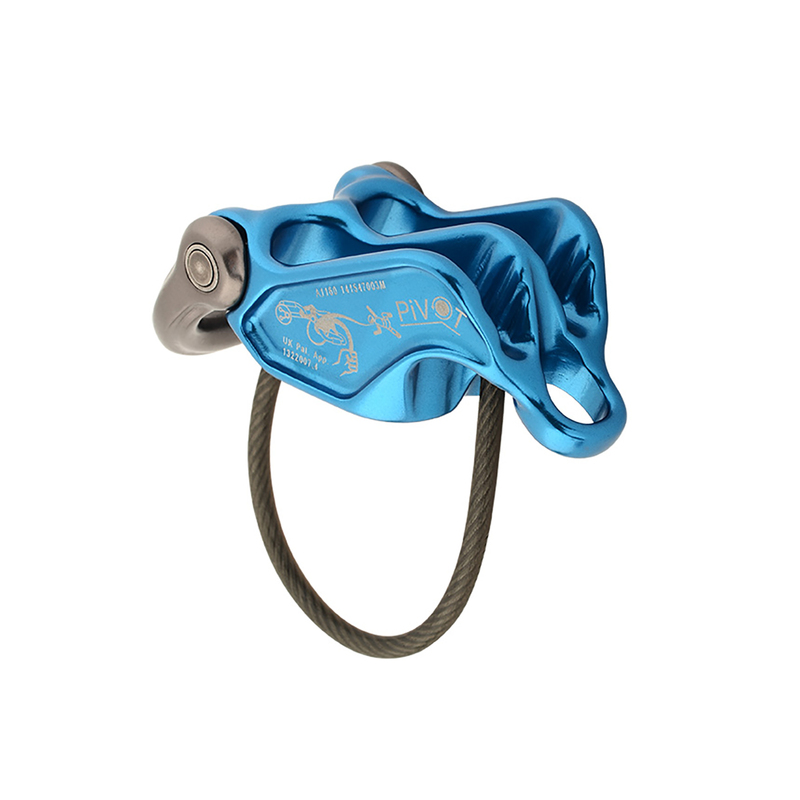 The state-of-the-art DMM Pivot belay device uses a special 'biner cavity: simply clip on a carabiner whilst in guide mode and pivot the device for easy, safe, and comprehensive management whilst lowering. A trusty abseil partner for the return to base with all the other uses of a belay device. This system allows for the smooth, controlled, and easily initiated lowering whilst in guide mode. Simply clip a carabiner in the 'biner cavity and pivot the device to release the rope, allowing for complete and easy management of the rope's friction. Not much heavier because of the extra feature and adds the easy possibility to lower. Sits perfect on harness also. I always loved DMM's innovations in climbing gears and I must say this is a beauty in every aspects. As a belay plate works fine in normal or guide mode as almost every plate. It shines when you have to lower the second climber. It's quite a rare situation but when it comes it could be a pain in the *ss. Using this device it's a joy lowering the second, giving slack and not needed prussic backup or italian hitch. If you have to rappel you'll notice it's super smooth, I highly recommend this product. Have had this device for a couple of years now. It fits a great variety of rope diameters. Have used it on 8.7mm single ropes to 10.2mm, and also used it on twin/half ropes in diameters variyng from 7.7mm to 9.2mm. It handles diferent diameters fine. Grippy "teeth" to help stopping but not overly agressive. The pivot point does actualy help in lowering when in guide mode. This is my favorite belay device whitout a doubt.